We also see beauty when we look in trees and the sky. 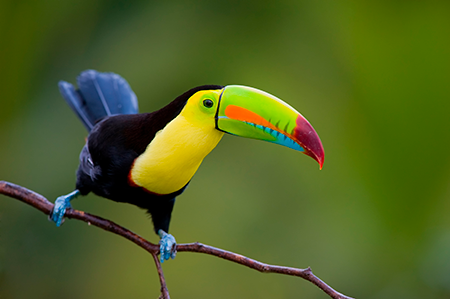 On the list of beautiful creatures that God designed, more bird species probably appear than any other kind of creature, thanks to the beautiful colors of their feathers. 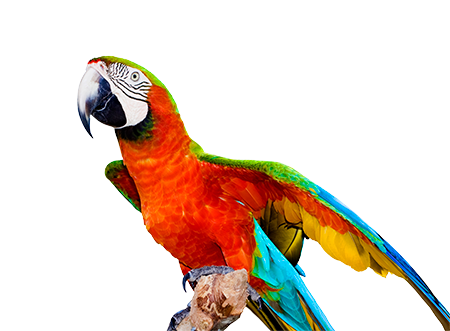 Feather color usually comes from different pigments. The blue color in birds, however, is not from pigment, but from how light looks to us when it bounces off the shape of a feather. 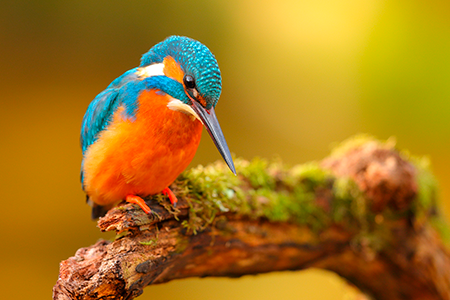 The sky is full of thousands of species of birds, and each species has its own variety. Believe it or not, male birds are often more beautiful than female birds (unlike humans). Macaws, painted buntings, birds-of-paradise, keel-billed toucans, golden pheasants, and king fishers are definitely among my favorites. Besides the beauty in the sky and trees, we also find beauty when we look in the sea and the depths of the ocean. 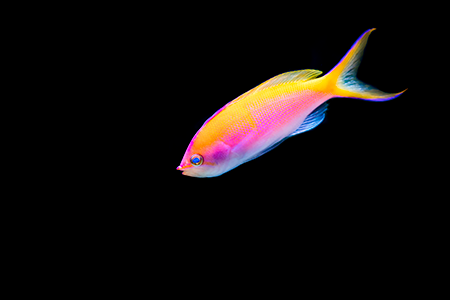 Like birds, much of the color on fish comes from different pigments on their “skin”—fish scales, in this case. 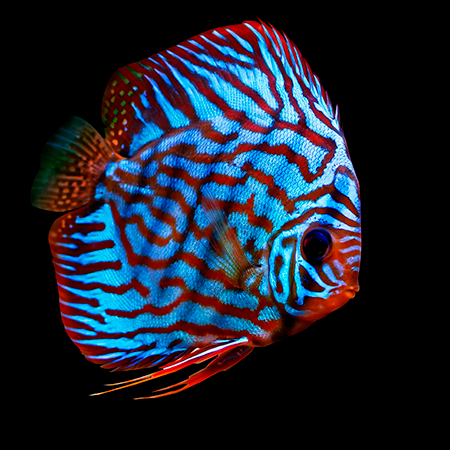 Have you ever seen beautiful angelfish, like the Flame, Blueface, Queen, or Emperor? 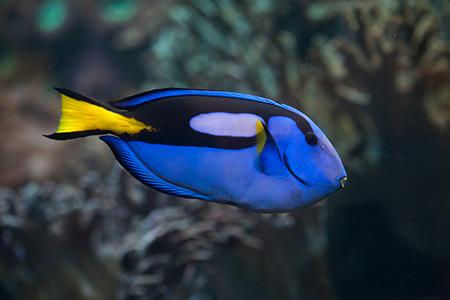 You have probably seen a Regal Tang and Moorish Idol on TV. Banggai (BANG-EYE) Cardinal Fish and Mandarinfish might be my favorites, but some prefer the Discus Fish or the beautifully pink Lyretail Anthias (LIAR-tale AN-theus). If only one fish is so beautiful with its shiny, iridescent scales that change color depending on the angle you view them, imagine what a school of these fish looks like! If you think fish scales can be beautiful, compare them to the many creatures in the ocean which can light up. 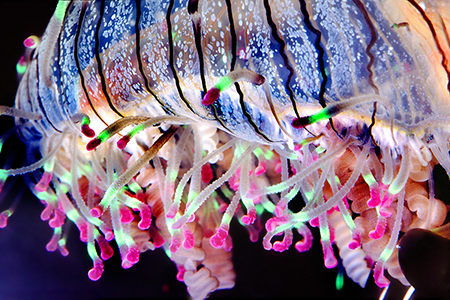 Some creatures have chemical reactions in their bodies that make light. 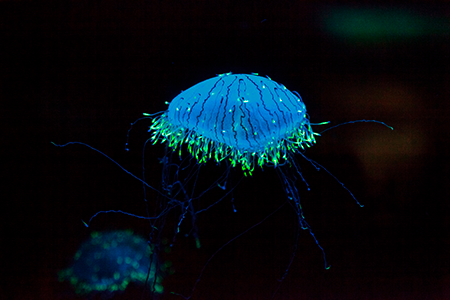 They are called bioluminescent (BI-oh-loom-uh-NES-ent) creatures. Several bioluminescent jellyfish are found throughout the world, like the Comb, Pink Helmet, and my favorite, the Flower Hat Jellyfish. 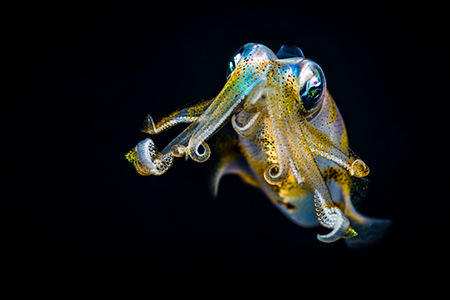 Squid are also sometimes bioluminescent, like the Big Fin Reef Squid.